Last night, Microsoft announced that Windows Server 2019 would be released, generally available, in the second half of 2018. I suspect that the big bash will be Ignite in Orlando at the end of September, possibly with a release that week, but maybe in October – that’s been the pattern lately. Microsoft is referring to WS2019 as a “long term servicing channel release”. When Microsoft started the semi-annual channel, a Server Core build of Windows Server released every 6 months to Software Assurance customers that opt into the program, they promised that the normal builds would continue every 3 years. These LTSC releases would be approximately the sum of the previous semi-annual channel releases plus whatever new stuff they cooked up before the launch. The GUI is not dead. The semi-annual channel release is Server Core, but Nano is containers only since last year, and the GUI is an essential element of the LTSC. This is not the last LTSC release. Microsoft views (and recommends) LTSC for non-cloud-optimised application workloads such as SQL Server. No – Windows Server is not dead. Yes, Azure plays a huge role in the future, but Azure Stack and Azure are both powered by Windows, and hundreds of thousands, if not millions, of companies still are powered by Windows Server. I’m not sure what’s NDA and what is not, so I’m going to stick with what Microsoft has publicly discussed. Sorry! For those of you who don’t keep up with the tech news (that’s most IT people), then Project Honolulu is a huge effort by MS to replace the Remote Server Administration Toolkit (RSAT) that you might know as “Administrative Tools” on Windows Server or on an admin PC. These ancient tools were built on MMC.EXE, which was deprecated with the release of W2008! Honolulu is a whole new toolset built on HTML5 for today and the future. It’s not finished – being built with cloud practices, it never will be – but but’s getting there! Don’t share this secret with anyone … Microsoft wants more people to use Azure. Shh! 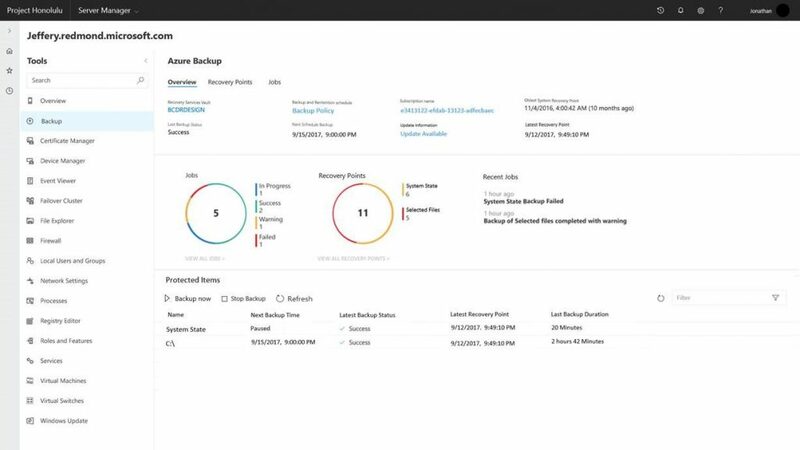 Some of the features we (at work) see people adopt first in the cloud are the hybrid services, such as Azure Backup (cloud or hybrid cloud backup), Azure Site Recovery (disaster recovery), and soon I think Azure File Sync (seamless tiered storage for file servers) will be a hot item. Microsoft wants it to be easier for customers to use these services, so they will be baked into Project Honolulu. I think that’s a good idea, but I hope it’s not a repeat of what was done with WS2016 Essentials. ASR needs more than just “replicate me to the cloud” enabled on the server; that’s the easy part of the deployment that I teach in the first couple of hours in a 2-day ASR class. The real magic is building a DR site, knowing what can be replicated and what cannot (see domain controllers & USN rollback, clustered/replicating databases & getting fired), orchestration, automation, and how to access things after a failover. Backup is pretty easy, especially if it’s just MARS. I’d like MARS to add backup-to-local storage so it could completely replace Windows Server Backup. 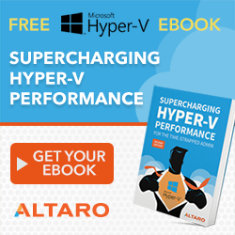 For companies with Hyper-V, there’s more to be done with Azure Backup Server (MABS) than just download an installer. Azure File Sync also requires some thought and planning, but if they can come up with some magic, I’m all for it! Linux will be supported with Shielded VMs. VMConnect supported is being added to Shielded VMs for support reasons – it’s hard to fix a VM if you cannot log into it via “console” access. Encrypted Network Segments can be turned on with a “flip of a switch” for secure comms – that could be interesting in Azure! Windows Defender ATP (Advanced Threat Protection) is a Windows 10 Enterprise feature that’s coming to WS2019 to help stop zero-day threats. The Server Core base image will be reduced from 5GB by (they hope) 72% to speed up deployment time of new instances/apps. Kubernetes orchestration will be natively supported – the container orchestrator that orginated in Google appears to be the industry winner versus Docker and Mesos. In the heterogeneous world, Linux admins will be getting Windows Subsystem on Linux (WSL) for a unified scripting/admin experience. Storage Spaces Direct (S2D) has been improved and more changes will be coming to mature the platform in WS2019. In case you don’t know, S2D is a way to use local (internal) disks in 2+ (preferably 4+) Hyper-V hosts across a high speed network (virtual SAS bus) to create a single cluster with fault tolerance at the storage and server levels. By using internal disks, they can use cheaper SATA disks, as well as new flash formats don’t natively don’t support sharing, such as NVME. The platform is maturing in WS2019, and Project Honolulu will add a new day-to-day management UI for S2D that is natively lacking in WS2016. As usual, I will not be answering any licensing/pricing questions. Talk to the people you pay to answer those questions, i.e. the reseller or distributor that you buy from. It is highly likely we will increase pricing for Windows Server Client Access Licensing (CAL). We will provide more details when available. So it appears that User CALs will increase in pricing. That is probably good news for anyone licensing Windows Server via processor (don’t confuse this with Core licensing). When you acquire Windows Server through volume licensing, you pay for every pair of cores in a server (with a minimum of 16, which matched the pricing of WS2012 R2), PLUS you buy User CALs for every user authenticating against the server(s). When you acquire Windows Server via Azure or through a hosting/leasing (SPLA) program, you pay for Windows Server based only on how many cores that the machine has. For example, when I run an Azure virtual machine with Windows Server, the per-minute cost of the VM includes the cost of Windows Server, and I do not need any Windows Server CALs to use it (RDS is a different matter). If CALs are going up in price, then it’s probably good news for SPLA (hosting/leasing) resellers (hosting companies) and Azure where Server CALs are not a factor. So you want to play with WS2019? The first preview build (17623) is available as of last night through the Windows Server Insider Preview program. Anyone can sign up. 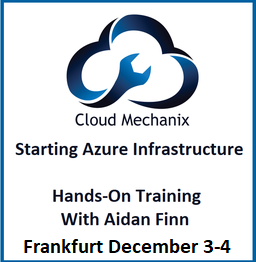 Would You Like To Learn About Azure Infrastructure?